The Fabulous Bäckström Brothers, The Old Market, Hove. Thursday 31st May 2018. At least I would if I could express on paper just how brilliantly funny this brand new ‘musical comedy’ was without gesturing wildly with glee. As soon as I read the tag line to this show I just knew I had to see it. My weird-ometer went off the chart. Well Jouni, Petri and Junka did not disappoint. These guys are 3 of the most talented musicians I’ve seen and have comedy timing akin to Spike Milligan. The audience were swept along with our delightful trio on a road trip across the USA on Route 66. The complexity of the story then began to reveal itself as we watched Junka tell us about his new opera ‘The God Particle’ while we learn , with wit and erudition, about particle physics. 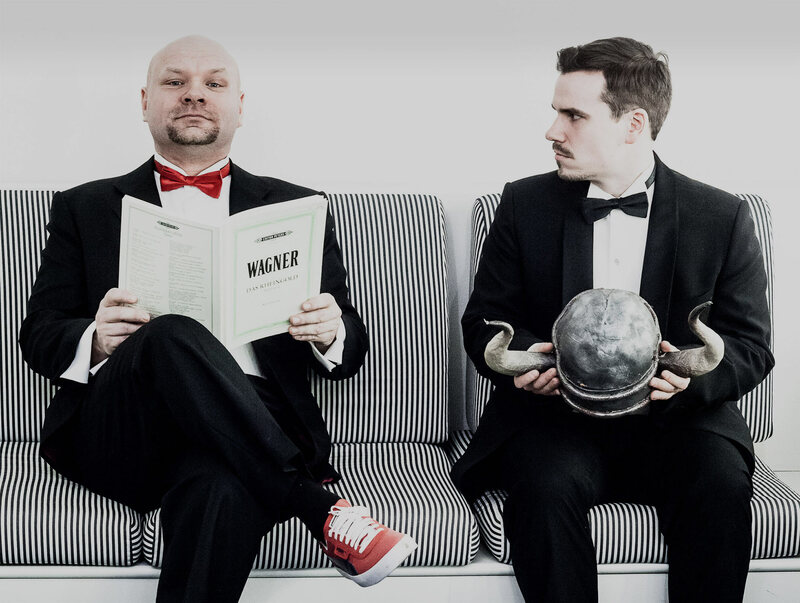 At the same time Petri is excited about his new opera role as Siegfried and we are treated to a perfectly abridged version of this Wagner opus as well as having the privilege of meeting Wagner himself – played masterfully by Jouni. The cherry on this perfectly baked cake however for me has to have been the ‘Cup Song’ – performed mesmerisingly to Stravinsky. Again, Wow. To sum up – wonderfully daft, physically awesome and frankly fantastic.